Value4Brand is a leading Online Reputation Management and Digital PR company in New Delhi, India. With the team of Best Digital Marketing professionals. Over the past time, the importance of having a unique content has increased to attract the users. With the development, it would not be wrong to say that content is the king and plays a very useful role in holding and retaining the user’s attention and interest to the work. Not doing research: Content is all about researching some unique aspects about the topic and then writing it down. To be very accurate in the writing, make sure you do enough research about the same so that you can present nothing but the facts. Not doing proofreading: It is important to be correct in your spellings to make your content readable. 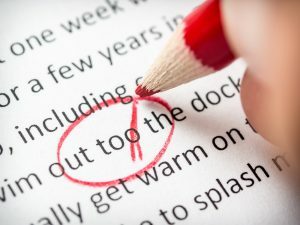 Therefore, not doing proofreading of the content can be one of the biggest mistakes that you can do. This will leave spelling mistakes in your content and will make readers lose interest in the content. Not selecting an interesting topic: Writing on anything and everything will not solve the purpose. You have to choose a topic that is interesting so that the readers can relate to the work and feel like reading the content. Complicating your writing: Don’t complicate the content when you can present the same in a simple form. Use simple words to express your thoughts so that everyone can easily understand what you want to say. Presenting the content in an over-complicated manner will harm your reputation. 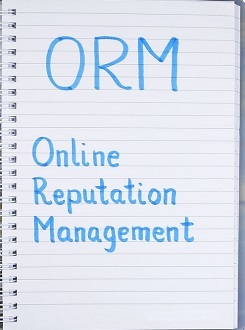 Click www.value4brand.com and connect with Value4Brand – one of the leading providers of online reputation management services in Delhi for getting all the required help to maintain your reputation.